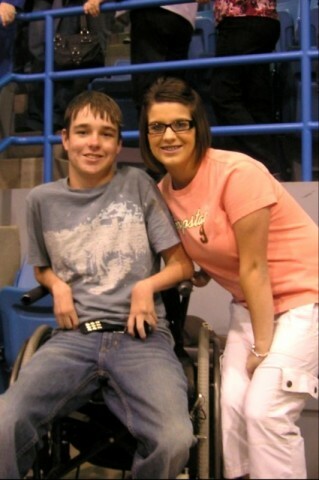 Arthrogryposis affects every joint, muscle and tendon in Clay’s body, including his jaws and spine. He started walking at age 4. Then, after 2 right femur fractures within 2 years and a fracture of his arm directly below the joint at the shoulder 6 months later, he was unable to walk anymore. 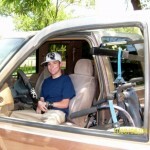 The recovery from the femur fractures took several months and he lost a lot of strength. 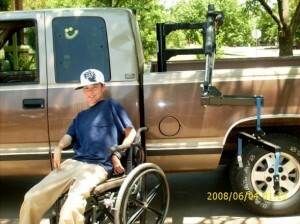 Still positive and determined, he has continued to rigorously engage in intense physical therapy. 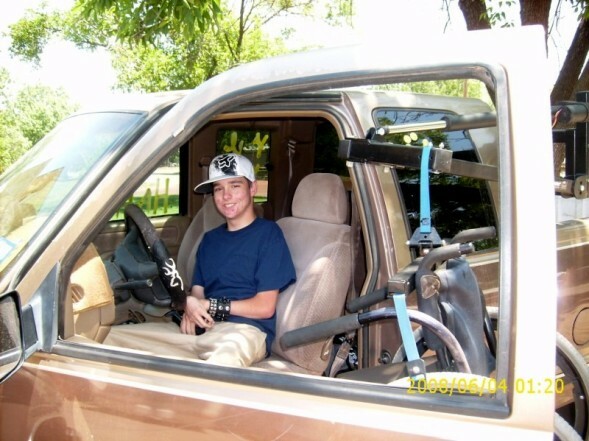 Clay got his driver’s license at the age of 16. 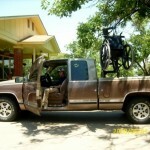 He longed for the opportunity to go places without assistance loading and unloading his wheelchair and being helped in and out of it. 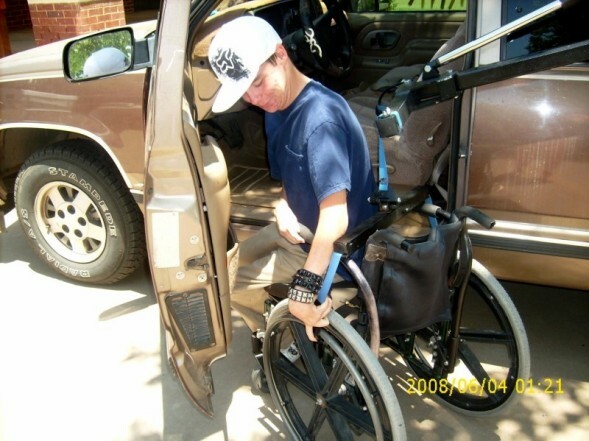 Clay’s mother, Lisa, contacted Kya’s Krusade to get resource information about a wheelchair lift and grants that could pay for it. 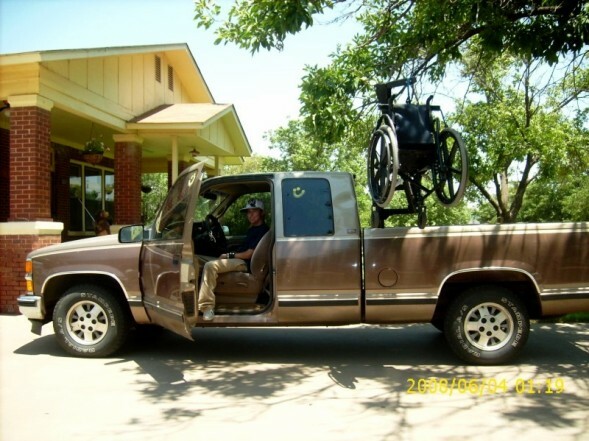 We located a retailer that had a remote control-operated wheelchair lift that could transfer the wheelchair between the bed of a truck, the door of the vehicle and the ground. 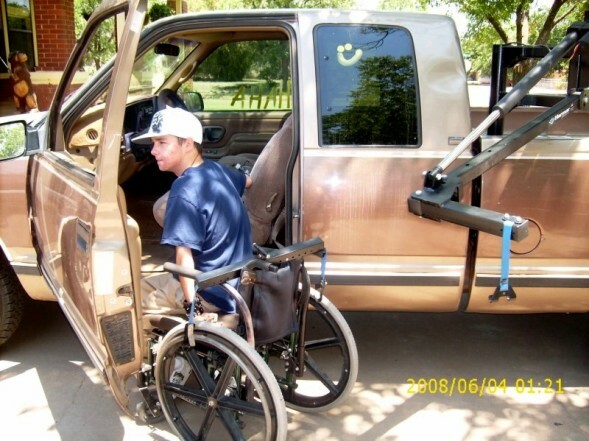 We conferred with Lisa and the vendor to ensure that the model would be compatible with both the truck and his wheelchair. Clay continued to translate his dream of running after receiving the wheelchair lift through the Kya’s Krusade Financial Assistance Program in January 2008. 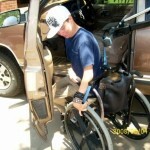 Whole-heartedly embracing his new level of freedom and independence, Clay got a job he loves and drives himself wherever he needs to go, unassisted. Bright, independent and outgoing he continues to work hard in school, at work and with his physical therapy and looks forward to going to college and pursuing his dreams. Clay & Vanessa out and about! Lisa & Clay continue to be special members of the Kya’s Krusade Community!